Colombo has seen a dramatic increase in activity and development, following the ending of the 30-year civil war in 2009. Much of the development has been credited to the real estate sector, which has experienced significant growth in the past five years. “As infrastructure continues to advance, in the form of highways and large-scale projects like the Colombo Port City, Colombo as a destination is set to draw further investment appeal. The capacity to invest in premium real estate is increasing, as the city transforms into one of the gateway cities in the South Asian region,” commented Asia Capital Senior Manager (Projects) Eraj S Rajapakse. The luxury condominium ‘447 Luna Tower’ occupies a central location on Union Place, in a neighbourhood that offers any and all conveniences, from designer shops and upscale restaurants, to supermarkets, banks, hospitals, and more. 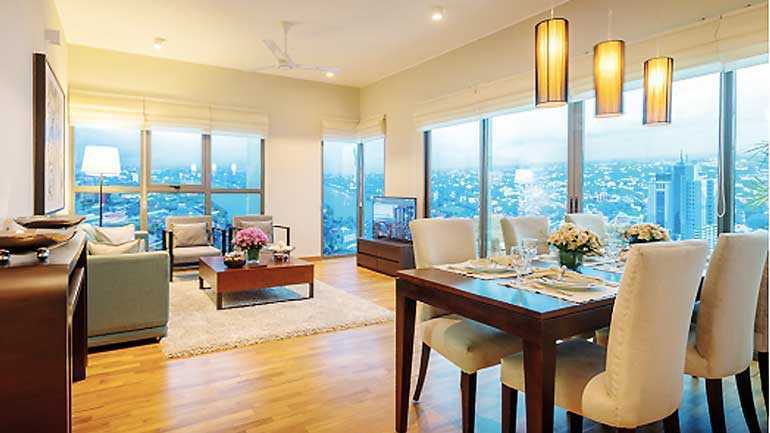 The apartments are priced in Sri Lankan rupees (LKR), while a majority of the other noteworthy residential developments in central Colombo are priced in US dollars (USD). Investors will benefit from the greater capital appreciation of fixed LKR pricing as the US dollar appreciates, and the cost of competing developments increase in LKR terms. 447 Luna Tower has been strategically positioned in the upper mid-range segment, with 70% of the inventory priced below Rs. 56 million, which places it within reach of a wide market segment. The project, which is scheduled to be completed in 2020, is poised to be the only condominium in the heart of the city to strike a perfect balance of elegant design, luxury living, and convenience of location, at a competitive price. The 190 elegantly styled apartments are complete with premium finishes: Burma teak flooring, German kitchens, Marazzi bathroom tiles complete with Hansgrohe and Duravit fittings, double-glazed windows, and more. The finishes surpass a number of the premium developments, and offer superior value in comparison. The condominium will also feature impressive facilities, which include a rooftop infinity pool, and a clubhouse on the same level; a landscaped garden with a walking path; a kids’ pool; and a fully equipped fitness centre on the podium level. 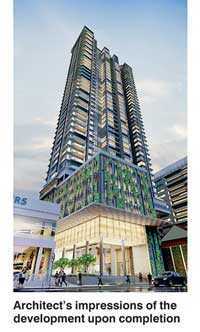 The project has partnered with renowned architect Philip Weeraratne and his firm, PWA Architects. The project consultants include Ong & Ong, Singapore, an international industry leader providing unrivalled technical expertise; Arup, a global giant headquartered in Hong Kong, a company in structural engineering who has partnered with the project’s structural engineers, NCD Consultants. This is the first of many projects to be undertaken through the Asia Capital and Belluna alliance. Other projects include: a 300-room city hotel on Marine Drive in Colombo 3; an ultra-luxurious 57 villa resort in Galle; as well as their first resort endeavour with Marriott International to debut the Westin brand in Maldives, with the “Westin Maldives Miriandhoo Resort”, entailing a 70-room capacity. A further multi-development project in Colombo is currently under construction. Belluna Co. Japan’s long term plans with Asia Capital reiterate the company’s confidence in Sri Lanka’s growing real estate industry.